With stories of war and the impacts of global warming inundating our news, we are overwhelmed with media imagery of displaced communities in developing countries – their homes shattered and futures unclear. But what about displaced communities in developed countries like Australia? 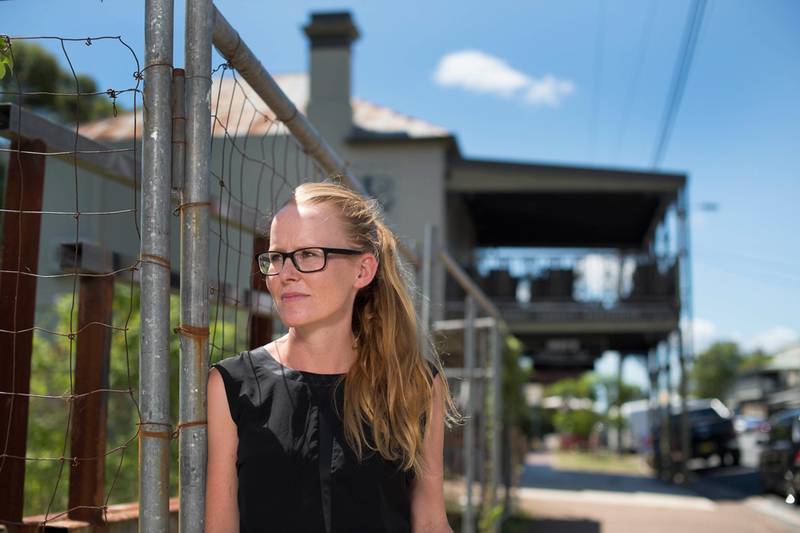 Dr Hedda Askland, an anthropologist and member of the University of Newcastle’s Centre for Social Research and Regional Futures (CSRRF), examines the deep-rooted forces behind home, identity and belonging amongst people experiencing significant social, political and environmental change. Through her research with exile and refugee communities, as well as communities exposed to large-scale development projects, she has found we don’t have to look past our own backyards to find people suffering experiences of displacement. “In contrast to my previous work with East Timorese living in Australia during a time of political upheaval, I currently work with local, long-established communities in Australia that co-exist with large scale industry. This project looks at people we don’t normally think of as refugees or migrants because they don’t travel across borders – some of them don’t even leave their house,” Askland said. Askland is currently conducting an ethnographic study in the Upper Hunter and Mid-Western regions, in which she explores people’s connection to place, their lived experiences of environmental and social change in the context of development, and the possibilities of environmentally-induced relief through movement and migration. 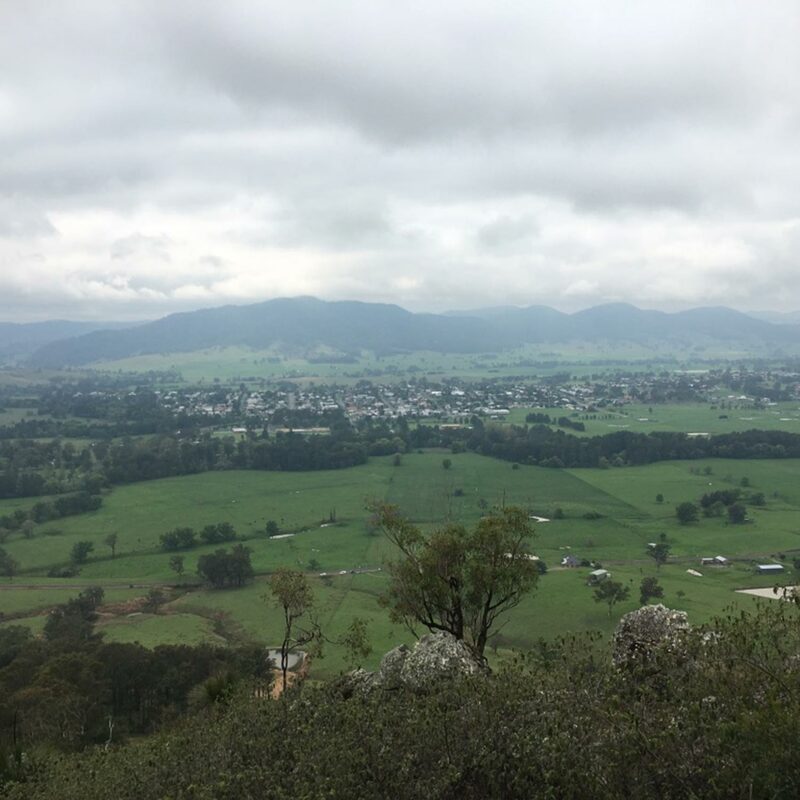 At the moment she is working on a case study in the village of Wollar – a historic village on the edge of the Great Dividing Range that is surrounded by three open-cut coalmines. Prior to the mining boom, Wollar was a community of about 400 people. There was a shop that sold everything from food to farming supplies, two churches, a local bushfire brigade, a mechanic, a nursery and a school. Today, only about 10 percent of the population remain, the nursery is relocating, there are only eight children left in the school and the shop is owned by mining company Peabody Energy – selling only expensive essentials. The closest town, Mudgee, is 50km away and Askland estimates the average age of residents is approximately 60 years old. 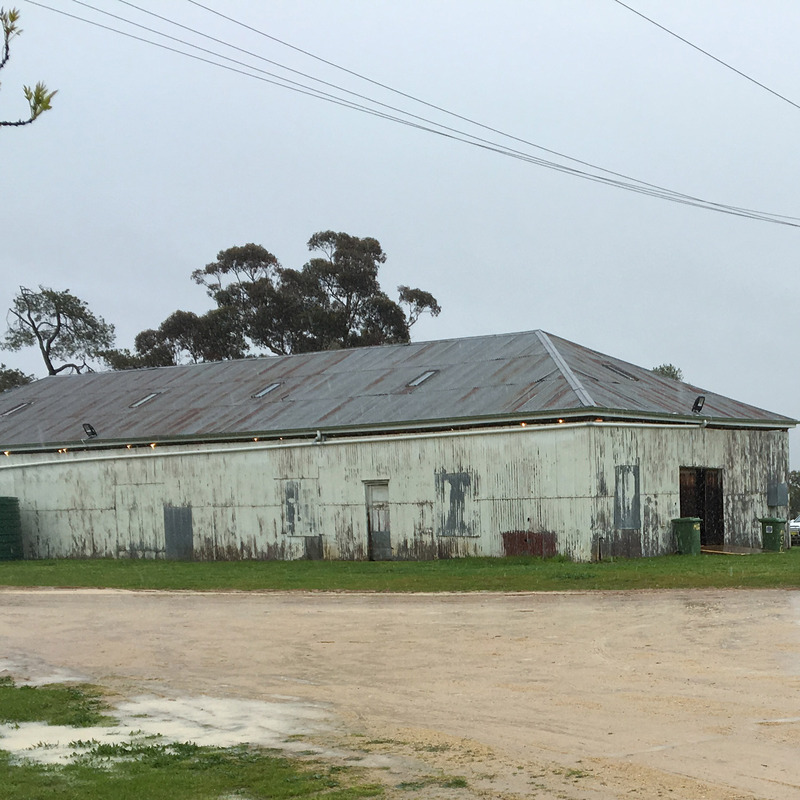 “When I speak with people in Wollar, they exhibit a real sense of distress that is connected to the future, especially in relation to the planned expansion of the mine, which will move the mine boundary to only 1.5km from the village,” Askland said. As a result Askland is developing a concept she has termed ‘eritalgia’, which will assist in better understanding the role the future plays in the lived experiences of social and environmental change. “The concept adds to the existing concepts ‘nostalgia’, which describes people’s connection to place in the past, and ‘solastalgia’, a term developed by Professor Glenn Albrecht to describe place-based melancholia, trauma or distress in the present. In contrast to these concepts, ‘eritalgia’ points to the embodied sense of displacement that may occur when there is a rupture between lived realities and imagined emplaced self,” Askland explains. “I believe our understanding of place-based stress and relief must be expanded to incorporate people’s imagined futures, and that by creating a triadic concept such as this we can better understand displacement as an existential condition of loss, as it manifests in relation to the past, the present and the future”. 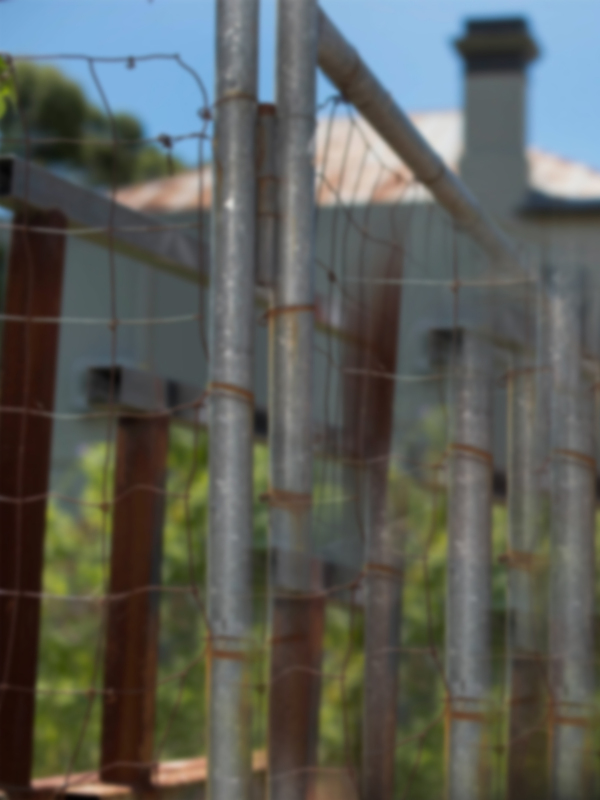 “By unpacking displacement in the context of what is happening in regional New South Wales, I will challenge conventional ways of understanding and speaking about displacement and relocation. Looking at the loss of community, questions of social cohesion, and individual sense of self as it is happening in Wollar, I am able to explore the question of home as it relates to place and mobility,” Askland explains. I am a Lecturer in Anthropology in the School of Humanities and Social Science. I have previously worked as a Research Fellow at the School of Architecture and Built Environment, where I was employed in a research capacity since completing my PhD in July 2009. I hold a Candidata Magisterii (Can.Mag.) degree from the University of Bergen, Norway, majoring in social anthropology, and a Masters of Social Science and a PhD (Sociology/Anthropology) from The University of Newcastle, Australia. For my PhD, I conducted an ethnographic study of East Timorese living in Australia, specifically focusing on how political unrest and national crisis affect exiles’ experiences of self, community and nation. Both my past and present research have been published in books and international refereed journals, and presented at international conferences. My research background is in the field of social and cultural anthropology. Through my postgraduate studies (Master of Social Science (research) and PhD) I have explored issues related to migration, diaspora, exile, home, community, identity and belonging. Whereas my Master thesis considers the question of a particular group of young East-Timorese exiles in the immediate aftermath of the Indonesian occupation and explores the impact of the Australian Government's immigration policies on the situation of this particular group of asylum seekers, my PhD focuses on issues related to the broader diasporic community. My PhD thesis, entitled 'East Timorese in Melbourne: Community and Identity at a Time of Political Unrest in Timor-Leste', considers how political unrest and national crisis affect exiles’ experiences of self, community and nation. It is an ethnographic study of East-Timorese expatriates’ lives after the realisation of independence in East Timor that aims to improve the understanding of the ways in which expatriates and diaspora communities experience and relate to violence and radical political change in their home country. In my recent research endeavours, I build on my previous work with exile communities and explore questions of development induced displacement and resettlement. More specifically, I investigate questions of land use and land use change (in particular as it relates to extractive industries), kinship, displacement and home in New South Wales, Australia. My key professional interests surround issues related to forced movement, exile, social justice and democracy, conflict resolution, development, and political, social and environmental change. Through my research, I have gained an in-depth understanding of complex issues related to nationbuilding, migration, immigration policy, communal structures, violence and unrest, and challenges related to policy and practice in developing countries. My emerging research blends my past work on social change and development with the themes of resources, environmental change and resilience. I have a strong interest in the question of ethnographic field research and, more particularly, methodological and ethical issues related to doing research in volatile communities and with vulnerable groups. My research expertise also incorporates the themes of creativity, architectural education and design practice. In the period 2010-2014, I worked at the School of Architecture and Built Environment, where I managed a two-year ALTC project that explored the question of creativity in the context of design and architecture education. This project considered the question of creativity in architecture and design and questioned how creativity, as an aspired learning outcome of the design disciplines, can be assessed. As part of my work at SABE, I was also part of two interdisciplinary teams that worked on research project that considered (a) the themes of cultural built heritage, resilience and natural disasters, and (b) ethnography, architectural practice, creativity and management. As part of my research, I have worked in a number of cross-disciplinary research teams with members from a number of faculties and universities (including: RMIT University, Deakin University, the University of Tasmania, Monash University, and Queensland University of Technology). I have worked as part of multi-disciplinary teams based at The University of Newcastle, which included the disciplines of anthropology, indigenous studies, architecture, construction management, architectural history and design. I am currently engaged in a number of different research endeavours in the space of land use and land use change, which include scholars from the Centre for Social Research (CSRER), the Centre for Urban and Regional Studies (CURS), the International Centre for Balanced Land Use (CBLU), and Newcastle Institute for Energy and Resources (NIER). © 2018 selection and editorial matter, Anna Szolucha; individual chapters, the contributors. From the 1970s, state¿driven pursuits for coal and revenue have radically transformed rural landscapes and sociality in New South Wales, Australia. The region, which has a long history of coal mining, moved from being run by locally based enterprises that contributed to the sustainability of local communities to large-scale, global corporations relying on a translocal workforce. As coal operations emerged from the underground, a radical restructuring of spatial relations took place. This restructuring was also underpinned by the privatisation of coal and power supplies, with transnational extraction corporations becoming landholders in agricultural regions. As the mining boom intensified, mining companies emerged as a major landholder in rural areas of New South Wales. Seeking to purchase strategic properties for exploration, extraction or mitigation, mining companies approached and negotiated with individual, local landholders. In this paper, we consider how this process have followed class¿based lines and how class exposes distinct vulnerabilities and privileges in a meeting with a miner. We contend that there is a vacuum in the planning process, which exposes vulnerable communities that have limited capacity to contest these developments and define the future and meaning of their place of belonging. © 2018 Elsevier Ltd The concept of solastagia has been developed by environmental philosopher Albrecht to understand the psychological trauma, also referred to as place-based distress, experienced because of environmental change. In this article, we explore ways to further this concept. The article draws on ethnographic fieldwork in a village in the mid-western region of New South Wales (NSW), Australia, which is surrounded by three large open-cut coal mines. Over the past decade, the mines, in particular the Peabody-owned Wilpinjong mine closest to the village, have had a significant impact on biophysical, social and temporal landscapes in the area. We argue that whilst solastalgia may help explore the relationship between the environmental and human distress triggered in these circumstances, the sense of displacement and loss that emerge are entangled with questions of power and dispossession beyond the biophysical realm. Underpinned by a phenomenological framework of analysis, we contend that place-based distress should be understood as an ontological trauma, as the fabrics of place, belonging and the social relations embedded within disrupt the ongoing sense of being associated with home. These include the means to not only link to the past, but also to imagine the future. © 2014 Archnet-IJAR, International Journal of Architectural Research. In this paper, we explore what architectural practice and, more specifically, the architectural research domain, may gain from the theoretical and methodological premise of anthropology and ethnography. The paper explores a historical link between anthropology and architecture as academic disciplines, arguing that the disciplines are aligned through anthropology&apos;s search for understanding the conditions of humanity and architecture&apos;s role in forming these very conditions. We do not intend to explicate the individual disciplines but are interested in the crossover between the two and, more specifically, what insights anthropology and ethnography may offer to the discipline of architecture. We consider the relationship between anthropology and architecture, as both a research domain and a profession, and question how anthropology-as an approach to research more so than a discipline-can contribute to the advancement of architectural practice and research. © 2016, The Association for Computer-Aided Architectural Design Research in Asia (CAADRIA), Hong Kong. This paper aims to provide a critical understanding of the discipline of architectural education, exploring how digital technology forms part of two Australian architecture schools. Generally accepted as the unbroken and consistent existence or operation of something over a period of time, continuity represents stability without interruption. In the context of architectural design education, continuity aligns almost symbiotically with the design process; a system that facilitates a continuous loop of input, output and feedback for the designer- from defining the brief, collecting information, synthesising and presenting a design proposal. Preliminary findings of a larger research study that investigates the role of technology in architecture education, suggest that cultural patterns of technology adoption and valuation exist, valorising particular tools and establishing a framework for design teaching and practice that might disrupt the continuity of students&apos; design process. Moreover, the study shows evidence of a disruption of continuity in design school narratives, emphasising the need to rethink design pedagogy and the place of technology herein. Reflecting on these observations, this paper explores the question: When the tools of digital technology challenge the established design process paradigm of an architectural school, how do educators respond to such a disruption in continuity?. The notion of climate change-induced displacement remains underexplored within the context of the developed world. This project will initiate an inquiry into climate change induced-displacement in Australia, using the Hunter Region of NSW as a case study. Cutting across conventional disciplinary boundaries, the project will draw on insights from engineering, information technology, law, public health and anthropology. By listening to the co-presence of diverse analytical perspectives, the researchers will seek collaborative moments driving new knowledge and a holistic understanding of risks and adaptation strategies in the context of climate change. Using climate models and projections of mobility and migration, the project will: (i) investigate how climate change may manifest within the lives of Hunter residents; (ii) assess risks of displacement; (iii) consider legal and logistical tools that are required to adapt to the projected climate reality; (iv) consider political tools for effective adaptation and mitigation; and (v) present a conceptual framework for understanding climate change induced displacement in the context of the Hunter, including how it relates to psychosocial and environmental distress. Dr Hedda Askland, has played a significant part in an unprecedented court case that has put a stop to the proposed Rocky Hill Coal Mine in the Gloucester Valley. the Rural Land Use and Community Research Network has been strengthened by Faculty funding. The Rural Land Use and Community Research Network brings together local and international scholars working in the area of rural land use. What price can be placed on Wollar's future?